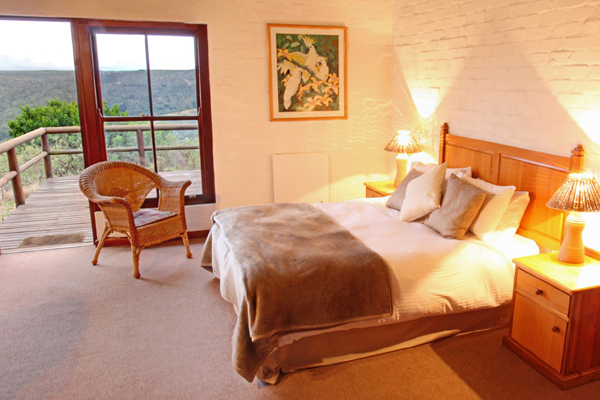 Set on route to the Cango Caves, in the picturesque Schoemanshoek Valley (14 kilometers from Oudtshoorn), Berluda is an intimate guesthouse experience. 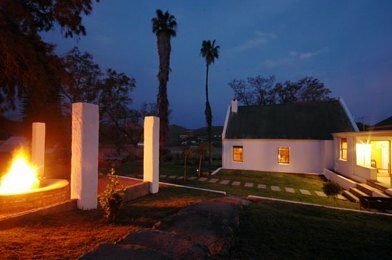 It offers 6 en suite bedrooms (renovated in 2008) in the original Farmhouse and 6 self catering cottages (2 renovated and 4 newly built in 2007 & 2008). The restaurant offers breakfast & dinners - reservations only. 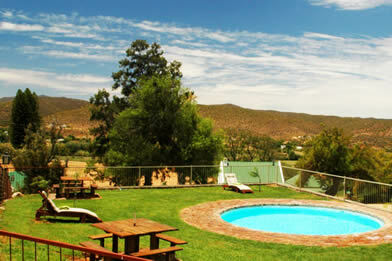 The beautiful lush gardens have 2 swimming pools and Berluda is furthermore surrounded by ostriches and apricot orchards, as well as our famous Karoo veld, where long hikes can be undertaken to enjoy the special indigenous vegetation. 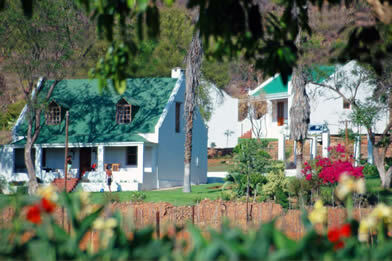 Berluda is well known for its authentic South African farm hospitality and traditional South African cuisine. 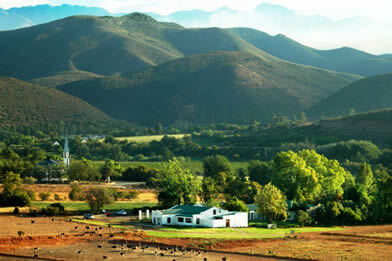 Owner, Piet Schoeman, runs one of the largest working ostrich farms in the area, and was elected the Western Cape`s Young Farmer of the year 2006. His wife Laura gives a tour in English, Afrikaans, German and/or Dutch. This is an experience which is not to be missed. If you are looking for peace and quite in a beautiful country setting, with fine touches in hospitality, you need to look no further - be our guest at Berluda Farmhouse & Cottages! 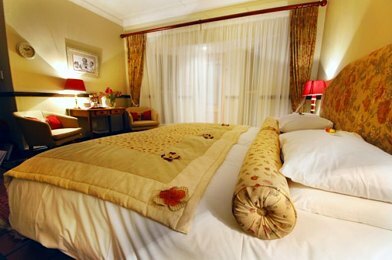 We will do our utmost to assure the best possible experience in personal service and sincere South African farm hospitality. Follow the R 328 from Oudtshoorn towards the Cango Caves. 14 Km further, you will find the turn off, left, to Schoemanshoek. Turn left, and drive straight ahead towards the church. Turn 90 degrees left at church. Berluda is 300 meters further on the right on gravel road.